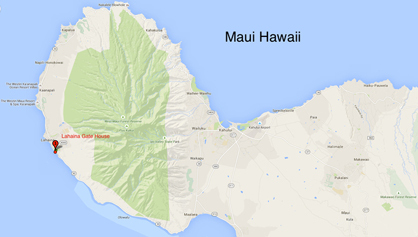 Vacation Rentals on Maui - Why Book With Vacation Rentals on Maui? The house, yard and pool made it so convenient to have the whole family. Front Street, the beach and the boat harbor are all just a short walk so each of us could find the perfect activity whenever we wished. Thank you very much and everyone is already talking about when we can return. Gary Pennington, Tacoma, WA. We loved the house and the yard. It was perfect for our family. it was great to have the beach gear, i.e. cooler boogie boards, chairs, etc. The house was roomy and clean and open and light. Tamie Snarr, Salt Lake City, UT. Staying at "the Gate House" was an amazing way to spend time in Maui. Their location is right near downtown Lahiana so you can easily walk or take a bike to restaurants, shops, and historical sites. In fact, they have a ton of bikes at the house for you so you're ready to go as soon as you land. The bedrooms are spacious and the house has plenty of areas to gather (living room, poolside, dining room, kitchen). Lisa was also wonderful and made sure we had the info we needed to vacation like a local. Not only do you get access to the private pool but the beach is also a short walk away. I've stayed in hotels on the beach before and I wouldn't think of going back. Staying at "the Gate House" was a whole new (better) way to experience paradise. David K, San Francisco, California. For the full list of testimonials about the Lahaina Gate House click here. This was the ultimate vacation at the greatest home I have every stayed at in Maui. The walk-ability to everything made this great home even better. Having a evening glass of wine watching the sun set is a lasting memory. The master bedroom was perfect. Then having the open floor plan on the top level made it great for everyone.Tigger, San Diego Ca.